St.Amant began as one building in St. Vital. Since 1959, the organization has grown and now 85 per cent of their work is in the community through 70-plus homes, a complex care residence, a school, a research centre, clinical services, day programs and autism programs. One thing that hasn’t changed is their commitment to enhancing the quality of life and nurturing the independence for children and adults with developmental disabilities and autism. 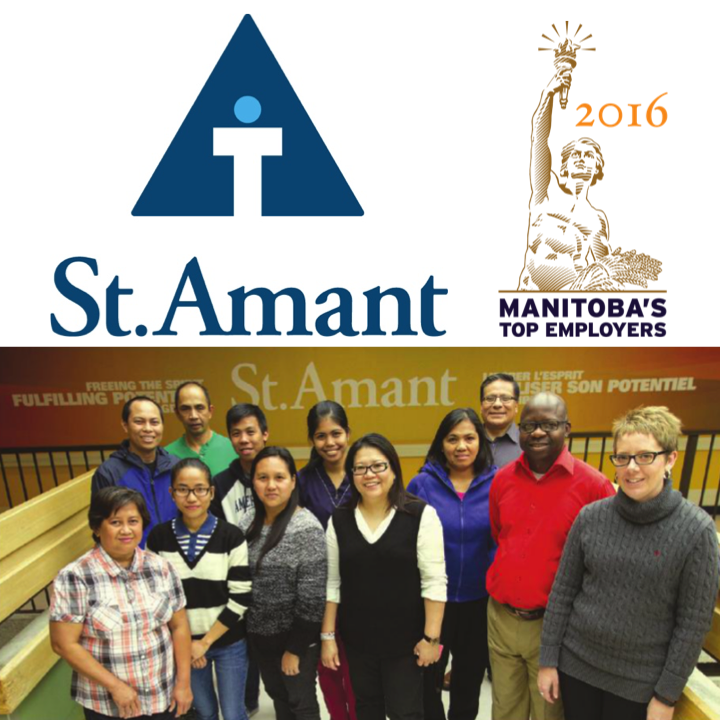 Today, St.Amant employs over 1,600 people across the city and in rural Manitoba in full- and part-time positions. by joining St.Amant’s Toastmasters for Newcomers Club. “The participants have taught me so much, I value them and have great respect for their willingness to pioneer this class at St.Amant. I look forward to supporting more staff with English at Work classes and at Toastmasters,” said Sylvia Thiessen, English at Work instructor. St.Amant also started a cultural awareness committee to reflect and celebrate the diversity within the organization and to ensure the work environment is inclusive. The committee has planned events and organized cultural competency training. A Cultural Awareness Week in February celebrated a new theme each day such as: LGBTTQ information, a newcomer discussion panel and a Festival du Voyageur themed day with a photo booth, food and live music. The biggest turnout was when the English at Work class shared information and food from their cultures. The committee gives staff an opportunity to share information, ideas and strategies about the promotion and understanding of culture throughout St.Amant. Professional development is valued at St.Amant, so much so they host the annual Canadian Conference on Developmental Disabilities and Autism. For over 20 years, the organization has planned a national conference for employees to learn the about the latest trends in the field of disabilities without leaving Winnipeg. With over 30 sessions specifically geared to people who support individuals with developmental disabilities and autism, the two-day conference provides exceptional professional development and networking opportunities for over 550 attendees from across North America. In addition to the annual conference, St.Amant provides generous professional development for all areas of the organization. St.Amant employees definitely care about the people they support. In fact, St.Amant has one of the highest staff engagement rates in fundraising to support the St.Amant Foundation. Every year, staff volunteer at the St.Amant Foundation’s signature fundraising event, the St.Amant Free the Spirit Festival. The event raised over $190,000 this year. “Staff sees the benefits of their donation and volunteer efforts for the people they work with every day. Whether it’s a new couch in a community home, tickets to a Winnipeg Jets game, a new speech or communication device or participating in a St.Amant Leisure Guide activity, they know they’re making a difference,” said Juliette Mucha, Director of the St.Amant Foundation. 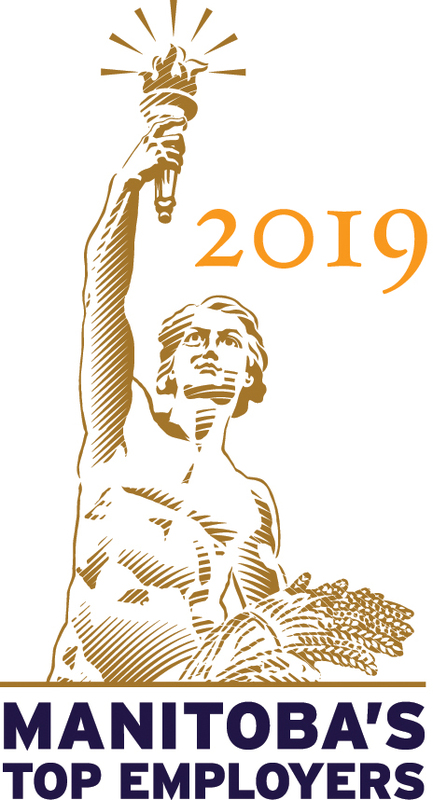 Staff also supports many other local charities such as Christmas Cheer Board, Winnipeg Harvest, the Manitoba Marathon, Dragon Boat Festival and Movement Centre Bike Race. 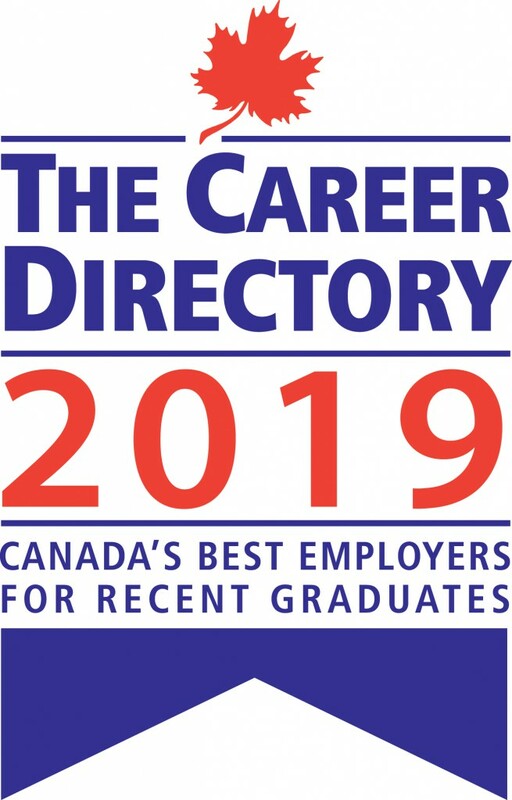 St.Amant is proud of their work environment, their culture of mindfulness and inclusivity and the initiatives taken over the past year to make them one of the top employers in Manitoba for a fifth year. Read about the other top employers in the November 23, 2015 Winnipeg Free Press or online.